The Danube is the key to river cruising in Europe as the great river crosses from Germany through Serbia, Austria and Hungary into Romania before emptying into the Black Sea. 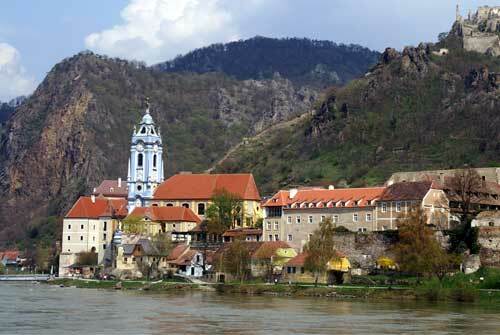 It offers the greatest range of river cruise itineraries. The Saone and Rhone Rivers let you explore the famed region of Burgundy, the lavender-scented hills of Provence and the wild, majestic scenery of the Ardeche region. The Seine is of course the river that Paris sits on. Cruise along the Seine from Paris, through the historic heart of Normandy, to the endless beaches of the Atlantic Coast. The Elbe/Havel/Moldau rivers cover Czech and Germany. The Elbe rises in the mountains of Bohemia and flows via Prague through the Czech lowlands into Germany. The river continues north-westwards towards Hamburg and the North Sea. The Havel and Moldau rivers branch of the Elbe and allow river boats to travel from Prague to Berlin (Postdam). Oder River cruises are a great way to discover the Old World charm of interesting and little-known towns in Germany and Poland. The Rhine is one of Europe’s major arteries. It flows into the North Sea from its beginnings in the Alps, through Switzerland, Germany, France and Holland. Rhine cruise itineraries can include the Moselle and Main rivers. The Moselle branches from the Rhine at Koblenz and flows down to Trier. The main leaves the Rhine at Mainz and flows to Basle. The Main-Danube canal also allows River cruises to offer Rhine and Danube itineraries. The Douro is one of Europe's most untouched and beautiful rivers. Rising in the hills north of Madrid the river meanders through northern Portugal to the fascinating city of Porto and then into the Atlantic. Most cruises are round trips from Porto. The Volga river in Russia allows you to discover the stunning architecture and unique cultural heritage of Russia's most interesting cities. Moscow and St. Petersburg, can be visited on a cruise that combines the Volga River, the Moscow Canal and other waterways. All cruises are on River Boats and today these are mostly luxury 5 star boats with all the comforts of top hotels and many of the facilities of cruise ships. So the cruise choice is really destination driven. Cruises generally commence in Spring (March) and the main season ends in September/October, however a limited number of cruises are available up to Christmas and New Year. The Russian season is shorter and runs from April to October. In the north where the daytime temperature is around 50f/10c at the start of the season and rises to the high 60’s by mid summer.